Coverage for the house owned by the policyholder. Other structures on the insured location are also covered up to 10% of the amount of coverage on the house. These structures can include a detached garage, play house, storage shed, or swimming pool. Additional coverage limits can be purchased as needed. Personal Property owned by the policyholder is covered up to 50% of the amount of coverage on the house. The property that is covered includes personal belongings, household furniture, and equipment used to service the insured residence. In the event a covered loss renders the house uninhabitable then Loss of Use coverage provides up to 20% of the amount of coverage on the house for the policyholder’s extra expenses. These expenses can include the cost to stay in a hotel and meal expenses while the house is uninhabitable. Guaranteed Replacement Cost will pay for the cost to rebuild a destroyed building even if the cost exceeds the amount of coverage up to an additional 50%. Identity Theft coverage provides highly experienced fraud specialists to assist in resolving your claim. 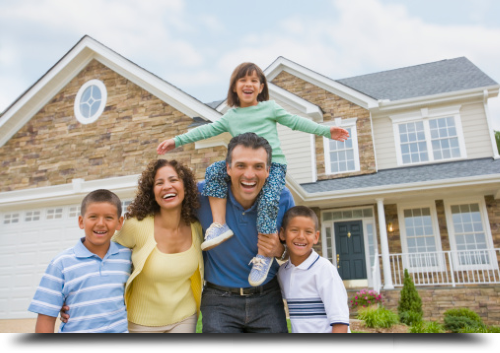 Find an NLC agent to learn more about our Homeowner programs.